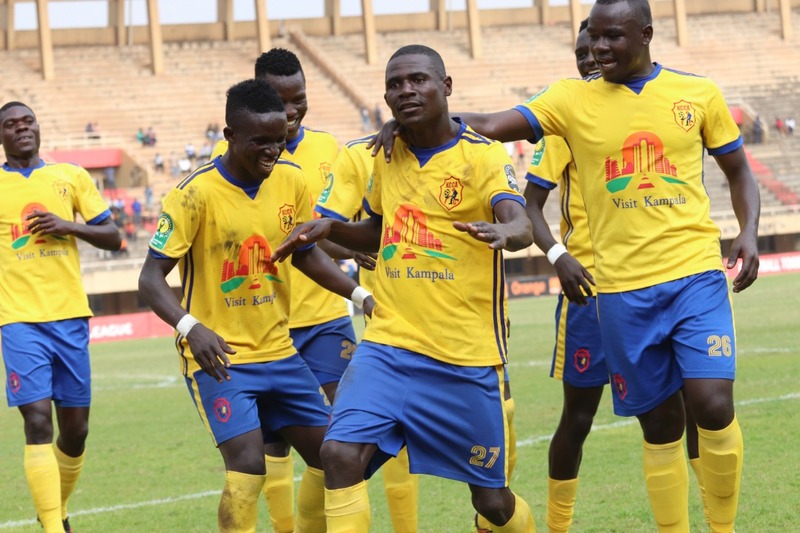 KCCA FC will be hoping they can end their 2018 Champions League campaign on a high when they take on Group A leaders Al Ahly at the Borg El Arab stadium in Alexandria on Tuesday evening. Mike Mutebi’s charges go into the game with no chance of progression from the group following match day five results which saw them and their Tuesday opponents win their respective fixtures. Al Ahly defeated Tunisian side Esperance 1-0, a result that meant KCCA could not occupy the first two positions in the group even if they won their last two games as they sat seven points behind the top two (Al Ahly and Esperance). Their corresponding 1-0 victory over Township Rollers in Kampala means that the Kasasiro Boys have a chance to bow out with pride, seating only a point behind the record African champions that’s if they can somehow cub out three points tonight. ”Being knocked out at this moment doesn’t mean, we shall not play with commitment, said KCCA FC coach Mike Mutebi ahead of the game. “We maintain the same focus and commitment like in the rest of the games and we shall try to throw the kitchen sinks at them. ”We are a young emerging force and I’m sure, everyone in the group had his eyebrows raised about how we play. “I believe we have learnt a lot and that will help us to become better. KCC A will head into the game with a near to full strength squad. Only first choice goalkeeper Charles Lukwago who is still suspended misses out. This is the second ever meeting between the two sides in the competition. The first saw KCCA defeat the Egyptian giants 2-0 in Kampala thanks to late strikes by Saddam Juma and Captain Timothy Awanyi. Al Ahly go into the game having won six of their last 10 Champions League games (D2 L2). The Red Devils have been formidable at home in the recent past. They have not tested defeat in any of their last 12 home Champions League games (W6 D6). The last time they walked out of a game in Alexandria without a point was in a 2-1 loss to Ivory Coast’s Asec Memosa in June 2016. The last time they host an East African club, they defeated Young Africans 2-1 back in April 2016. For KCCA FC, the y have won only four of their last 12 champions league games (D2 L6). Away from home, the Kasasiro Boys have won only one of their last 12 games (D2 L9). The victory dates back to Feburary 2014 when Tony Odur and Herman Wasswa were on target in the 2-0 win at Sudanese side Al Merreikh. Their last trip to North Africa saw them lead 2-0 inside 22 minutes before lossing 3-2 to Esperance last month.